In my stock and broth post I mentioned about cooking beans and legumes with the stock. Now I’d like to mention the benefits of sprouting before cooking them. And this boils down to the anti-nutrients in those beans / legumes. The main anti-nutrient is phytic acid. And here is an excellent article from the Weston Price Foundation about phytic acid. Anti-nutrients such as phytic acid act to protect the legume so that the beans / legumes can stay intact and act as a seed for a new plant (which it basically is). And those anti-nutrients prevent the bioavailability of protein and minerals such as calcium, copper, iron, magnesium, phosphorus and zinc to your body. 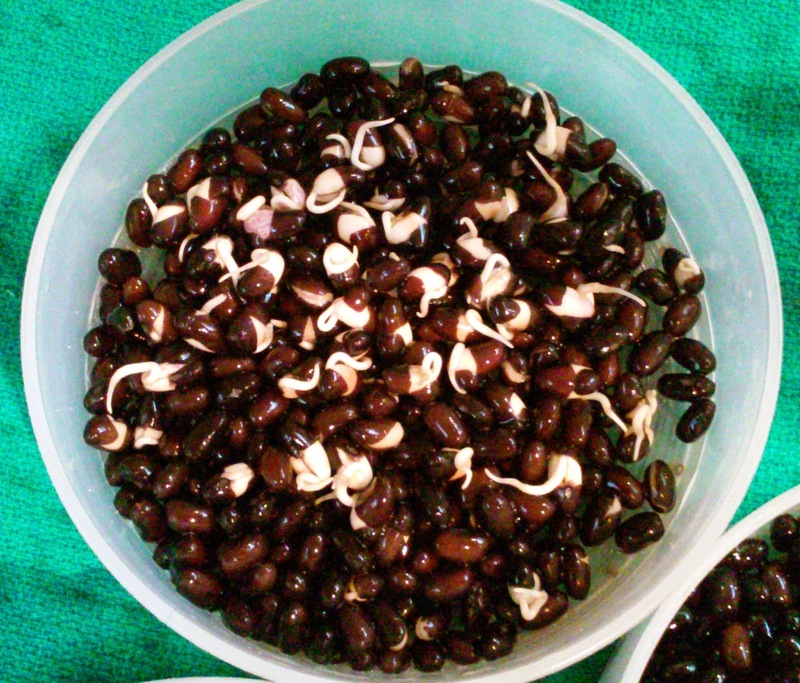 In other words, when you soak and sprout the legume, you are germinating the beans / legume, and this deactivates those anti-nutrient defenses and allow you to better digest as well as absorb the beneficial nutrients. And here is an excellent article which explains this and the benefits of sprouting from Dr Axe. After 2 to 3 days, you will see little sprouts begin to show. Now its time to cook! Gas is produced by bacteria in lower Gastro Intestinal tract as they digest oligosaccharides, the fiber in the bean / legume. This entry was posted in nutrients, nutrition, reboot!, recipes and tagged anti-nutrients, bean cooking, legume cooking, legumes, phytic acid, soaking, sprouting, Weston Price Foundation. Bookmark the permalink.